With VPS hosting, you get the security of a dedicated server combined with the affordability of shared hosting. Our VPS hosting offers fast performance and round the clock support with a range of packages to suit everyone’s budget. 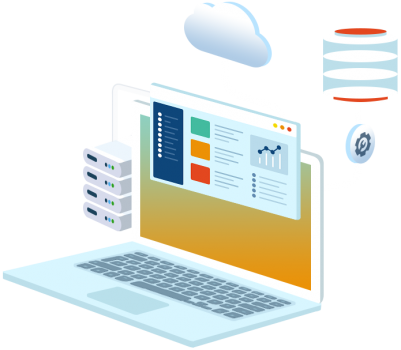 Our dedicated servers are located within world-class data centers, and have redundant connections to the fastest global data networks. Each dedicated server comes with 2 IPv4 addresses at no extra cost. More are available on request. All servers are equipped with an individual 100Mbps network port which is connected to our redundant network. A 1Gbps connection is available as an add-on. Our SolusVM-based VPS (Virtual Private Servers) offer premium performance at a budget price. Guaranteed resources with non-oversold carriers, RAID10 disks and 64GB RAM per hypervisor deliver performance that our competitors fear. SolusVM and cPanel combine to deliver best-in-class VPS hosting. Use SolusVM to manage, start, stop, reboot and control your VPS from a server level. And use cPanel / WebHostManager to manage the sites and users within your VPS. Choose the right package to meet your performance and resource needs. Packages are instantly upgradable should you need to add resources at any time. Need a managed VPS? We’ll manage, monitor and maintain your VPS for a low monthly fee. And our support is the best in the business. Ticket response times are measured in minutes and seconds instead of hours and days. We deliver our VPS solutions from our own infrastructure in Buffalo meaning we’re in control. This means we can deliver a far superior hosting experience than those competitors that just resell other services. We guarantee our network will be available at least 100% of the time on a monthly basis. Our high-end routers, switches and choice of premium bandwidth providers mean 100% uptime is the norm for us.